There’s been a lot of talk about the Dunning-Kruger effect, the cognitive bias that makes people wildly overconfident, unable to know how ignorant they are because they don’t have the basic skills to grasp what competence means. Once popularized, the effect became weaponized. People made armchair diagnoses, gloated and pointed at the obliviously stupid. But if those finger-pointers could take the beam out of their own eye, they might see four fingers pointing back at them, or whatever folk wisdom to this effect you care to mash up. What we now call cognitive biases have been known by many other names over the course of millennia. Perhaps never have the many varieties of self-deception been so specific. Wikipedia lists 185 cognitive biases, 185 different ways of being irrational and deluded. Surely, it’s possible that every single time we—maybe accurately—point out someone else’s delusions, we’re hoarding a collection of our own. According to much of the research by psychologists and behavioral economists, this may be inevitable and almost impossible to remedy. These are the tricks of the mind that keep gamblers gambling, even when they’re losing everything. 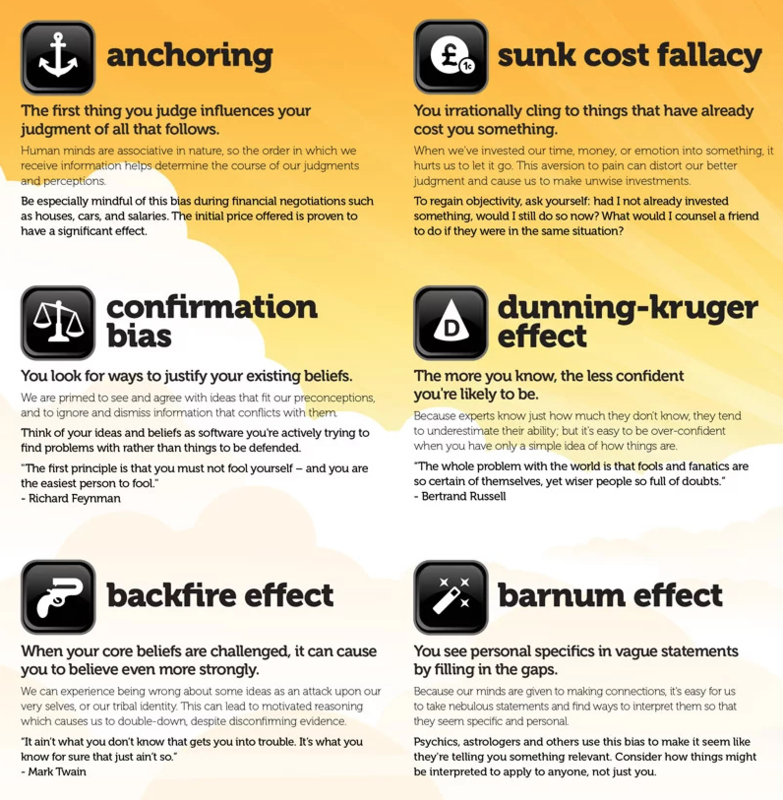 They include not only the “gambler’s fallacy” but confirmation bias and the fallacy of sunk cost, the tendency to pursue a bad outcome because you’ve already made a significant investment and you don’t want it to have been for nothing. It may seem ironic that the study of cognitive biases developed primarily in the field of economics, the only social science, perhaps, that still assumes humans are autonomous individuals who freely make rational choices. But then, economists must constantly contend with the counter-evidence—rationality is not a thing most humans do well. (Evolutionarily speaking, this may have been no great disadvantage until we got our hands on weapons of mass destruction and the tools of climate collapse.) When we act rationally in some areas, we tend to fool ourselves in others. Is it possible to overcome bias? That depends on what we mean. Political and personal prejudices—against ethnicities, nationalities, genders, and sexualities—are usually buttressed by the systems errors known as cognitive biases, but they are not caused by them. They are learned ideas that can be unlearned. We’re constantly missing what’s right in front of us, in other words, because we’re trying to pay attention to other people too. It’s exhausting, which might be why we need eight hours or so of sleep each night if we want our brains to function half decently. 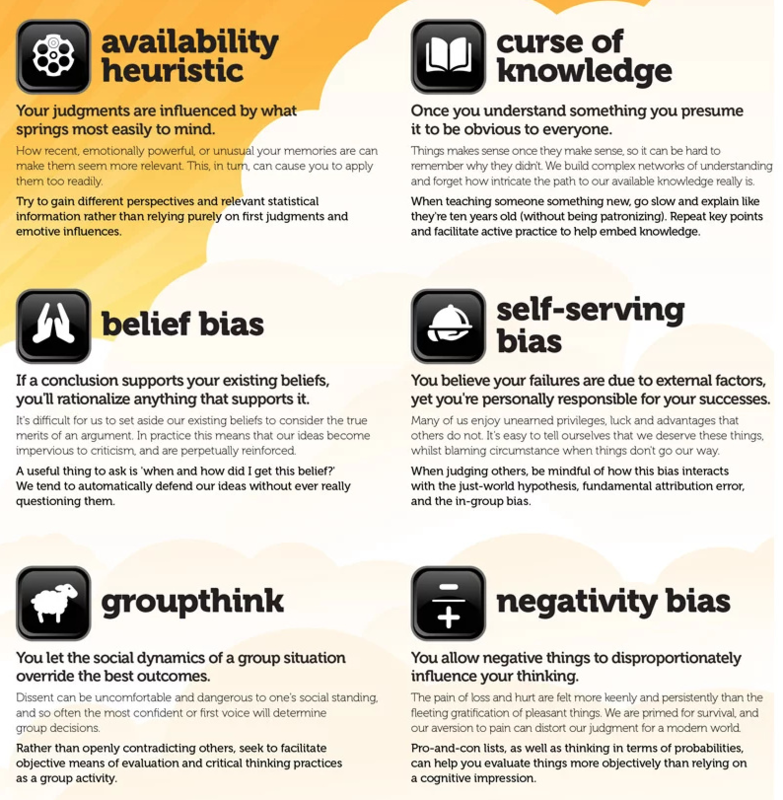 Go to yourbias.is for this list of 24 common cognitive biases, also available on a nifty poster you can order and hang on the wall. You'll also find there an illustrated collection of logical fallacies and a set of “critical thinking cards” featuring both kinds of reasoning errors. Once you've identified and defeated all your own cognitive biases—all 24, or 100, or 185 or so—then you'll be ready to set out and fix everyone else's. 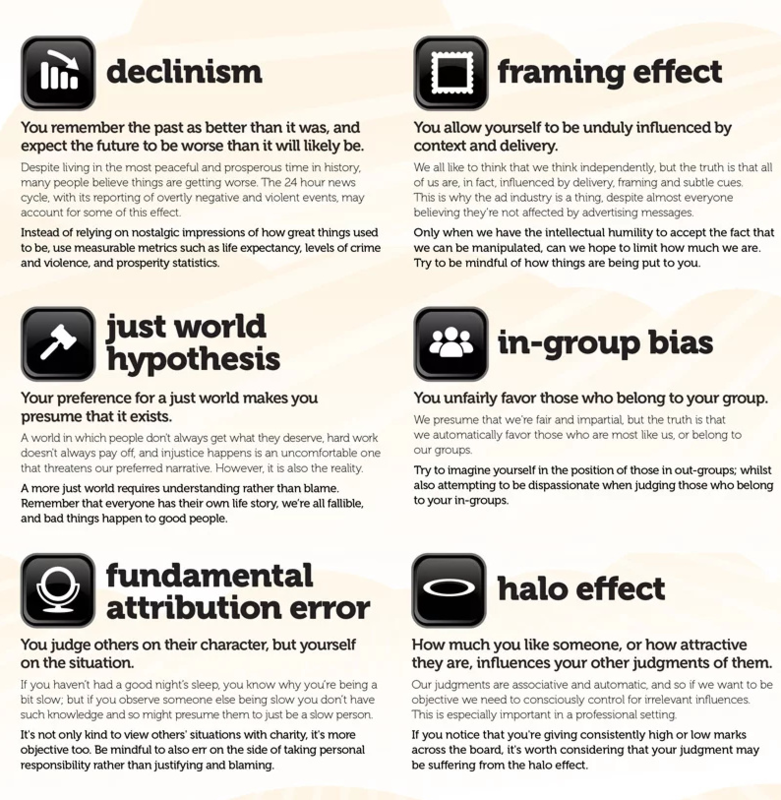 24 Common Cognitive Biases: A Visual List of the Psychological Systems Errors That Keep Us From Thinking Rationally is a post from: Open Culture. Follow us on Facebook, Twitter, and Google Plus, or get our Daily Email. 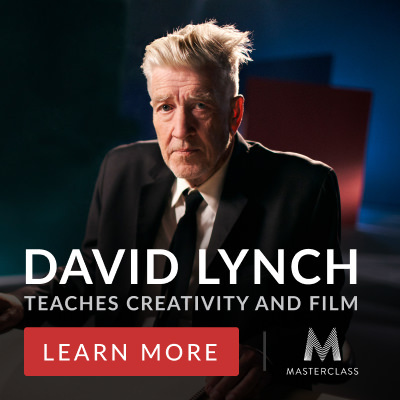 And don't miss our big collections of Free Online Courses, Free Online Movies, Free eBooks, Free Audio Books, Free Foreign Language Lessons, and MOOCs. You are subscribed to email updates from Open Culture.